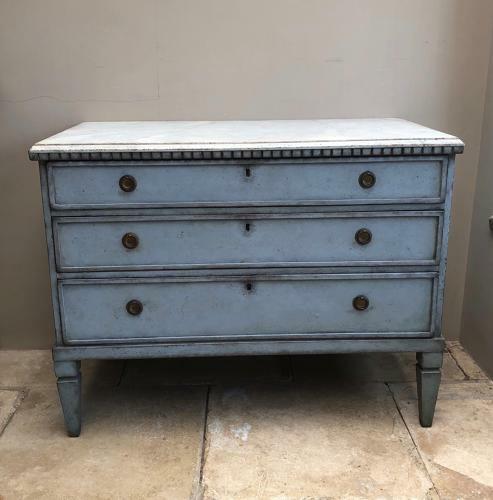 Very attractive Swedish Victorian Chest of Drawers - Gustavian Style - Pretty Shaped tops with dentil frieze trim and brass handles. Early antique chest of drawers, with dovetailed construction, refreshed later paint. Beautiful Swedish Blue with Faux White Marble Top. All good solid, strudy condition. The bottom drawer has a crack along the centre otherwise all great & no worm.